The Bell Tower Ridge is by far the most sought after area of the cemetery. The land is the second highest naturally occurring point in Atlanta. The panoramic views are stunning. As are the elaborate mausoleums the surround the Bell Tower. During the Civil War, James Williams owned a two-story house in this section. As the “Battle of Atlanta” was raging, Confederate General John B. Hood stood watch from this vantage point. An historic marker denotes the location. 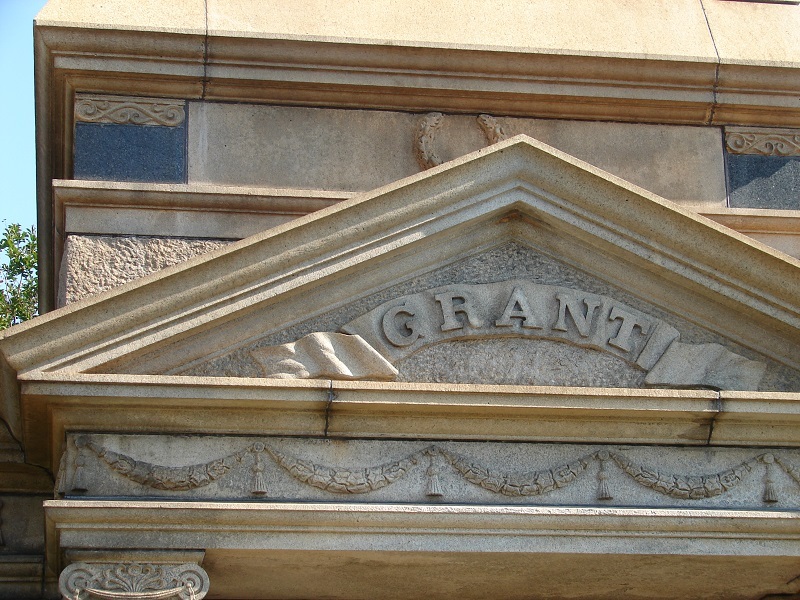 One of the most elegant–and costly–mausoleums belongs to the Grant Family. John T. Grant (d. 1887) made his fortune building railroad lines. His grandson, John W. Grant (1867-1938) was a banker and real estate developer. John W.’s grandson, Hugh Inman Grant died at the age of 11. To honor Hugh’s memory, John W. donated the money to build a football stadium at Georgia Tech. Originally named Grant Field, the stadium is now called the Bobby Dodd Stadium in Historic Grant Field. The family mausoleum houses a number of people. The most notable is John Slaton (d. 1955) former Georgia Governor who commuted the death sentence of Leo Frank, the man convicted of killing 13-year-old Mary Phagan. (See the Marietta City and Confederate Section for a discussion). Gov. Slaton married into the Grant family and was given a plot. Investigation: On my first visit to Oakland and before I toured the mausoleums in this area, I received several words on my Ghost Radar: score, involved, draw, play, Europe, football, rapidly, and orange. It was only after I went home and researched that particular area did I find a possibly connection. However, subsequent visits have not produced any communication. None. Therefore, I cannot conclusively state that these words came from the Grant Mausoleum. It makes a great story, though.